The world’s leading automotive alliance, Renault-Nissan-Mitsubishi, is spending a billion dollars over the next five years investing in technology-focused mobility startups. 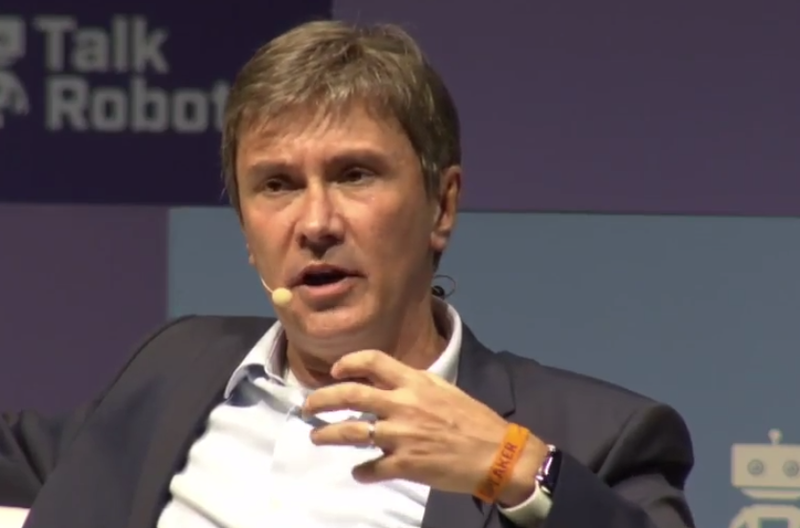 François Dossa, Head of Alliance Ventures, a strategic venture capital fund of the company, says that they want to invest money in the new technologies that will make the mobility of the future and the car of the future. We want to invest money in the new technologies that will make the mobility of the future and the car of the future. We take this very seriously because our sector is suffering not an evolution, but a revolution. We’ve been for years using a car always the same way, your two hands on the wheel and your view on the road, and this is going to change. Many new technologies that we will not develop internally because it would be too long and too expensive and this is why we have to rely on startups. We are excited with everything related to mobility. In mobility, I can also think of my legs that will be a part of the mobility, so it will be multimodal, not only a car. If I want to go from A to B, I have to be able to use my legs, a bike, a scooter, a car, a train, a van, a bus, and all this together is going to be the new journey that our customer will have. Customers in the future will consider that we are a service company and this is the big change that we have to do. We are good at manufacturing cars and we have to be good at offering a service to our customers. Should we have our own platform or should we use someone else’s platform? We decided to have our platform, so we’re going to build our platform and I’m in charge of that. On a platform are all the tech bricks that you need to have to offer, ride-hailing, ride pooling, ride sharing, and goods delivery to your customers. My activity is not to acquire companies, it is to acquire shares in companies. I don’t want to be the owner. If I think of a start-up, if I acquire the startup I kill the startup. We are a company of 475,000 people, that’s a very big company, very kind of heavy company, and we need to keep the fact that in the startup they grow very fast. All these technologies they’re moving very fast. This is why I don’t want to acquire but I want to be part of the shareholder of the company. China is the most amazing area in terms of innovation. Number one in the world. What’s happening in China is just amazing. We have been investing in a company called WeRide, it’s a level 4 autonomous startup in China. With level 4 I can tell you, I had a demo with their car in normal traffic conditions and the car goes on the highway and nobody is driving the car. My first reaction I was really dying. I was oh my god and we had 30 minutes and it worked extremely well. That’s very clear and it’s something that I’d like to say. About 40 years ago the Japanese companies went to the States and to Europe, they copied what we were doing. Then ten years ago, the Chinese did this also. Now I think it’s our time to go to China to look at what they are doing and to copy, because if not they’re going to kill us. We have to be very cautious about China and there are a lot of opportunities especially in deep tech new technologies. With AI, the Chinese know exactly where they are going. They tell you well we have a plan, it’s the central government plan where they want to be in 5, 10, and 15 years. AI is everywhere, so we have four main activities for investment. First one is the new mobility and this is the decision that we made about the platform. Then we have all related to autonomy, autonomous cars connectivity, and services. and EV, electric vehicles. We are the leader in EV and we want to keep this position, and we need to make a lot of investment and startups are very good at this. Even though I’m not American, I think that money is very important. For me, money is important and it’s also a way to be sure that we invested in the right startups because they will grow and then we’ll make money out of this investment. But this is not the key driver. The key driver is really the technology. We are a strategic fund and so we are here to bring into the Alliance companies and the new technologies that will make this new mobility and this car of the future. That’s really really clear in our mind but we’ll make money also out of it. Alliance Ventures is a strategic venture capital fund of up to $1 billion over the next five years, operated by Renault-Nissan-Mitsubishi, the world’s leading automotive alliance. The fund, launched in 2018, with a $200 million initial investment is co-located in Amsterdam, Silicon-Valley, Paris, Yokohama, Beijing and Tel Aviv from where it targets technology and business model innovation in New Mobility, Autonomous Driving, Connected Services, EV & Energy and Enterprise 2.0. Alliance Ventures is the main interface with the Alliance and its member companies for start-ups, incubators, accelerators, investors and the venture capital eco-system. By drawing on expertise and business opportunities from across the world’s leading automotive alliance, we pursue strategic investments at all maturity stages in startups developing disruptive technologies or businesses, focusing mainly on Series A and B, plus follow-on investments to support the start-up’s growth. How Do You Measure the Success of a Content-Driven Marketing Strategy? Could Your Business Benefit From Using LinkedIn Dynamic Ads?